Meanwhile I’ve sourced a local writers’ group, my first meeting being last Wednesday. How wonderful to connect with fellow writers in the local area and to be workshopping again! 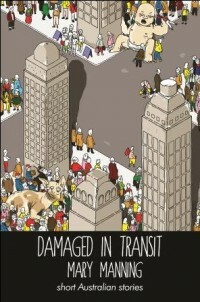 Thursday night I attended the launch of Mary Manning’s book of short stories, Damaged in Transit, published by Spineless Wonders http://shortaustralianstories.com.au/products-page/print-2/damaged-in-transit-by-mary-manning/. Congratulations Mary! A wonderful evening at Port Melbourne’s Mars Gallery, launched by Rachel Griffiths.